*NOTE: One free sample per person/company unless special arrangments have been made. Excludes Shipping Cost. 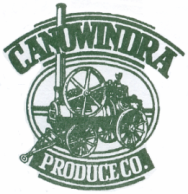 At Canowindra Produce we believe that our products are of the highest quality, Infact we are so confident, you can request a FREE* sample from any of our range to ensure you are truly getting the best that CPC has to offer.